How’s your relationship (with your advisor)? In many households, spouses divide and conquer responsibilities in an effort to be efficient and fair to each other. For example, one spouse may cook dinner and the other may clean up afterward. However, there’s one task you should be united on: choosing your financial planner. Sometimes it’s easier to assign this responsibility to one spouse because they have a natural interest or aptitude for personal finance. However, at Snow Creek Wealth Management, we would argue how important it is for both spouses to have a solid relationship with their advisor. 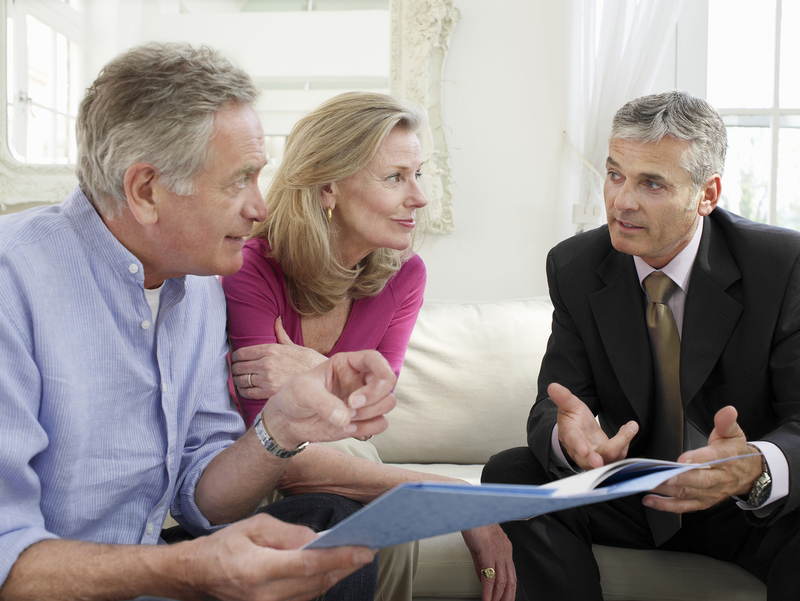 So, how do you choose a financial advisor? Find a planner who wants to get to know you. Does the future worry you? What are your shared and individual goals? What’s your history with investments, taxes and financial planning? Are you apprehensive about making decisions because of past mistakes? Look for someone you feel a genuine connection to and you are comfortable speaking openly with. Find a planner who can adjust to your communication style. Are you a visual learner? Do you like having regular in-person meetings or is the occasional phone call sufficient? Do you feel comfortable asking “dumb questions?” Well, you should. As a professional, it’s easy to forget everyone doesn’t understand terms like “standard deviation,” but an advisor should understand how to break down these concepts and ensure everyone is on the same page. Find a planner who understands your definition of risk, which means something different for everyone. Experiences, salary, and general outlook can affect your perception of risk. While it’s the advisor’s role to make informed recommendations on the allocation of your portfolio, it’s also their responsibility to understand what helps you sleep at night. Find a planner you’d want to stay with should something happen to your spouse. Studies show over 70% of women leave their financial planner within a year of their spouse passing. This is an amazing number and generally comes from the spouse not feeling welcomed into the conversation by the advisor. It may seem easier to build a relationship with a new financial advisor rather than fix a broken one. The loss of a spouse is a stressful event, to say the least. During difficult times, your financial advisor can be a trusted part of your support system, not an additional stressor. At the end of the day, it’s your life and your money. We want to encourage each of you to get involved in the management of your money at some level. Having a longstanding relationship with your financial advisor can help you reach your goals better in the long run and help smooth out times of trouble. The S&P 500 is up nearly 9% year to date, and the stock market sits close to a record high. Since President Trump’s proposals have yet to become policy, these market gains were likely driven by improving fundamentals in the form of the fastest earnings growth in five years. A handful of mega-cap technology stocks (Apple, Amazon, Facebook, and Google) are responsible for most of the S&P gain. Of course, all this means is the stock market is more expensive, and that’s not likely to change as we have high earnings expectations for the second half of the year. But as long as growth remains strong and the technical backdrop remains bullish, we can live with high prices. Trump has signaled that he wants to lower corporate tax rates, reduce regulation, create more jobs and lower interest rates. If he follows through on these initiatives it will further support the positive sentiments and bullish expansion in the markets. Given all this, we have raised our year-end S&P 500 target to 2,500. On the downside, the first quarter GDP growth in the U.S. was an anemic 1.2%. However, in the second half of the year real growth in the U.S. is more likely to be in a range of 2.3 to 2.5%, and inflation will pick up slightly to 2.1%. Global growth is on a solid footing, and the second half of the year should be positive. The spread between the 10-year Treasury note and the two-year note yield is near a five-year low. The Federal Reserve is slowly tightening short-term rates, and the 10-year rate reflects our slow-growth, low-inflation economy. Typically, lower yields are bullish for stocks. In this type of environment, we prefer total-return investing where you realize cash flow from dividends and potential price appreciation from stocks. From a financial planning perspective, we remain committed to global diversification in stocks and bonds. We urge you to retire your household debt, maintain an emergency fund and focus on funding your financial future instead of the chaotic present. Our goal is to keep a protective moat around the money you require to live comfortably in the future while still investing a significant portion of your portfolio for additional growth. Every investment we make is in an active daily market where securities can be bought and sold without penalty or surrender fee at a price that’s dependent on current market conditions. We are committed to tax efficiency and keeping investment fees low. As always, we urge you to be knowledgeable, diligent and proactive. View your accounts on the Snow Creek Web portal. Open and review your custodian’s statements. Regularly change your passwords to protect your privacy. And pay off your debts to help your money work harder for you. Whatever the world brings us in the way of “disaster de jour” — political, weather-related, inequality, migration, terrorism or disallowed hockey goals (sticks up, Predators fans) — we’ll get through it. Big ideas have made our 21st-century life more comfortable, convenient, and entertaining — plus we’re living longer. We have expanded our reliance on technologies to do the regular things we used to do like sending messages or checking on the weather. Even though it may feel like the machines are taking over, there’s always a place for wisdom, skill and personal service to help people meet their goals and financial objectives. Our job is to seek out opportunities for investors, and this infographic illustrates why artificial intelligence is the biggest thing since the Industrial Revolution. One day, shoppers at an upscale food market saw a display table with two dozen varieties of gourmet jam. On another day, shoppers saw a similar table — except only six varieties were on display. Behind the scenes, Ivy League researchers watched. It came as no surprise to see more customers flock to the larger display, gravitating to the intriguing smorgasbord of options and flavors. What shocked the researchers, and the academic world since, was that when the time came for people to actually buy, those who saw the smaller display were 10 times more likely to purchase jam than those who saw the larger one. The outcome of the experiment, conducted in 2000 by Columbia University professor Sheena Iyengar and Stanford University’s Mark Lepper, flew in the face of prevailing conventional wisdom that more options lead to more engagement. The results were as clear as they were surprising: more choice isn’t always better. Curious to see if the seemingly irrational behavior applied to heftier decision-making, Iyengar and her colleagues turned their eyes to retirement. They reviewed 650 company 401(k) plans and the behavior of nearly 800,000 employees. Each company studied was providing its employees with at least a 50-cent match for every dollar invested in its retirement savings program. Again, Iyengar found the same results: the more options a retirement plan offered, the fewer employees participated in those plans — even if it meant foregoing employer contributions. The classical economic theory assumes people are rational consumers, making logical choices. Psychologists have held up the idea of choice over the years as a good thing that gives customers a sense of personal control. But behavioral economics has exposed a kink in those arguments. The main challenge is convincing consumers that having fewer options can, in fact, be better for them. But it is possible. Companies such as Apple and Google actually credit much of their success to this concept. They say getting rid of clutter and focusing on simpler interfaces, fewer options and features help customers get what they really want. For the financial services industry, that means carefully designing options and fewer, easier-to-understand menu choices to encourage better decision-making. For example, it may make sense to relabel financial statements by dividing a report into investment objectives that show how much money an account started with, how much did that account grow or lose net of fees and expenses, what do I own and how much is it worth today. When organized this way, concerns about time, risk preference and volatility can be viewed in a palatable way. An easy to understand the financial view of the big picture consolidates information and simplifies the reporting. The Snow Creek Wealth Management Dashboard is a simple, intuitive portal designed to give you a clear, one-page, easy-to-read overview. The bottom line: if investors can find the right balance between choice and simplicity, then they may find the recipe for financial success. It worked for jam. As you might have read on our home page, a fiduciary is a person to whom property or power is entrusted for the benefit of another. The new fiduciary rule, which requires brokers to put the interests of their clients ahead of their own, was supposed to take effect this April. That deadline, however, was removed recently by the Trump administration, and the fiduciary rule is likely to be killed before it has a chance to take effect. That means financial advisors will continue to be required to meet only a “suitability” standard — their recommendations must be “suitable” based on a client’s personal situation. In an enlightening article on Forbes.com, Peter Lazaroff provides a great metaphor to explain the difference between the fiduciary and suitability standards. Imagine you visit a Ford dealership to buy an SUV, and you spell out all the features and attributes you want. Under the suitability standard, based on your must-have list, the dealer would probably recommend a Ford Explorer, make the sale and take the commission. But under the fiduciary standard, if the dealer believes a Toyota Highlander would be a better option for you, he or she would be obligated to tell you. The Trump administration will say killing the fiduciary standard gets the government out of the way and gives people the complete freedom to invest their money any way they want. Their argument is that the standard is unnecessary. And in a way, it is. That’s because investors have become savvier. They are already moving away from high-priced advisors with clear conflicts and toward those offering low-cost, transparent advice in the client’s best interest. And they’re more willing to do their homework. They’ll visit websites like BrokerCheck from the Financial Industry Regulatory Authority to uncover any disciplinary records. They’ll ask questions to understand how an advisor’s compensation is structured and if there is a reward for selling certain products that may not be best for clients. And they’ll demand that advisors take the fiduciary pledge, even if it’s not the law. At Snow Creek, we’ve been acting as a fiduciary for our clients since we started the firm in 2007. We’ve never considered this to be a competitive advantage. Instead, we see it as the price of entry in our business. Should you include Social Security in your retirement plan? Because we are living longer and our retirement savings must go further, securing a comfortable retirement is more important than ever. Maximizing social security benefits is difficult because everyone’s financial situation is different. But everyone should consider three things: Do I need the money? How’s my health? What’s the best withdrawal strategy to choose? Frank Cardenas is an expert at Social Security benefits planning. His firm, FedLogic, works with our clients to develop the best strategy given current regulations. Click below to see Frank’s Social Security Planning presentation at a recent Snow Creek client seminar. Who needs an estate plan? You do. An estate plan is important for everyone, regardless of income or worth, because we all want to make it easier for our survivors to avoid unnecessary expenses and publicity. With proper documentation and preparation, health care wishes can be followed and assets can pass along to the next generation. At a minimum you need to do these three things: have an up-to-date will, a durable power of attorney for financial and health care decisions, and updated beneficiary designation forms. Carolyn Schott is an estate planning attorney at Sherrard, Roe, Voigt & Harbison, here in Nashville. Carolyn is one of the talented estate planning attorneys who work with our clients. Watch the video below to see and hear Carolyn’s recent Estate Planning presentation. There are a lot of complex things about estate planning, but the number-one mistake people make is coordinating the title of assets with the plan. With all the complexities of property and tax law, fiduciary responsibilities including the choice of executor and trustee, and investment management, having the root of the plan disconnected by a gap in titling is unfortunate. We enter 2017 facing a world in transition. 2016 was a strong year for balanced accounts, but it was also a year of drama. We had three memorable market swings; the Chinese/Oil fear in January, the Brexit vote, and the Presidential election. And recent history repeated itself — each time the news-related downtrend reversed and valuations recovered within a couple of months to move higher. The surprise results of the U.S. election and the Brexit vote in the U.K. reflect a potential populist paradigm shift away from the decades-long march to globalization. And we witnessed the growing threat of cyber terrorism, including personal, corporate and political identity theft, hacking, and the exposure of sensitive materials and hints of conspiratorial alliances. Global trends continued to improve in 2016, indicating that the economy was on solid footing well before the Trump-induced euphoria in November. Issues like jobs, taxes, immigration, and health care reform dominated the presidential campaign. We have a new president (or should I say CEO?) who promises to “borrow and build;” reform healthcare; cut corporate and personal taxes; and reduce regulation, government waste, and inefficiency. In the U.S., despite the political uncertainty, stronger consumer confidence is driving solid growth, led by the recovery in the energy, financial and material sectors, where powerful technology, robotics, artificial intelligence, and a highly skilled and focused workforce have created efficiencies and rising business profits. After years of gains, the U.S. market is fully valued, but the prospect of tax cuts and infrastructure spending could provide a tailwind for corporate earnings and valuations to increase. So where will all this lead us in 2017? The prospect of more jobs, full employment, and an accommodative monetary policy should have investors excited. However, while there’s a low probability of a recession, there’s a high probability of increased volatility if political promises such as job growth are not kept. My recommendation on how to get through times of financial uncertainty is to focus on the long-term, continue to save regularly to fund the future, reduce debt, and have an emergency fund. Our upside target for the S&P 500 is 2406, about 6% higher than current levels, while the downside target is 1954, about 13.5% lower than current levels.